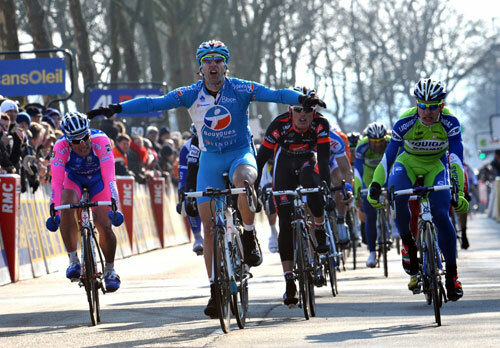 William Bonnet of Bouygues Telecom overhauled Peter Sagan of Liquigas in the closing metres of the finishing sprint to win stage two of Paris-Nice in Limoges. But a bad crash in the final kilometre highlighted the need for the race organiser, ASO, to look more carefully at the roads they select when a stage finishes in a town centre. To put it frankly, the run-in was ridiculous. More than once the road narrowed to a single lane, with a large island with a raised curb putting the squeeze on the big bunch. 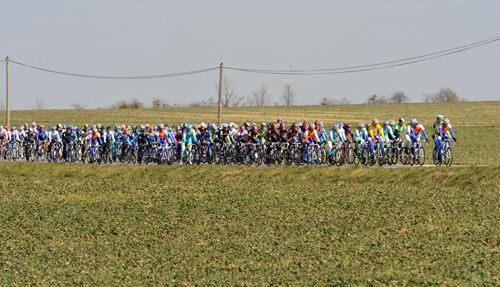 They got away with it the first time, when the peloton made a right-hand turn and had to go either side of the island. But closer to the finish, the bunch was sent from a wide road into a single lane when a Lampre rider crashed towards the front of the bunch, possibly after clipping the curb or touching a wheel. Crashes frequently happen during the run-in but the issue here was that there was nowhere for the riders following behind to take evasive action because they had been funneled into only one half of the road. Several went down, piling into the bodies in front of them. One of those to hit the ground heavily was French sprinter Jimmy Casper of Saur-Sojasun. He got up to cross the line but several team managers were left anxiously waiting to count their riders home. Ireland’s Daniel Martin of Garmin-Slipstream also went down but was up and standing in the road and didn’t appear too badly hurt. French sprinter Bonnet got past Peter Sagan close to the line, with Luis Leon Sanchez of Caisse d’Epargne taking third place and a time bonus that lifts him above David Millar and into third overall. 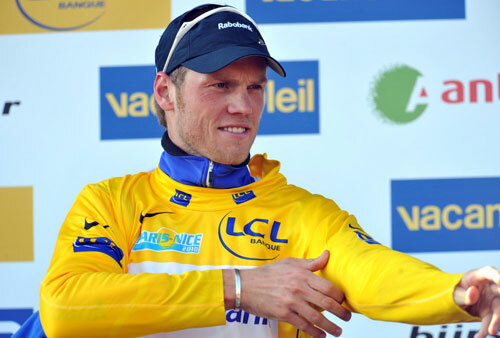 Dutchman Lars Boom, winner of Sunday’s prologue time trial, remained in the leader’s jersey, five seconds ahead of Jens Voigt. The 201.5km second stage from Contres was held in very cold conditions and again the wind blew, although it was at their backs for much of the day. The day’s break featured Laurent Mangel of Saur-Sojasun, Koen De Kort of Skil-Shimano, Jens Mouris of Vacansoleil and Mauro Finetto of Liquigas. They got away and stayed clear thanks to the tailwind until around 20 kilometres to go, when Mangel tried to go it alone. When Mangel was caught, largely thanks to a concerted chase by Alberto Contador’s Astana team, Cyril Gautier of BBOX Bouygues Telecom attacked, trying to use the final climb as a springboard to get clear. The sprinters sensed the opportunity, though, and he was shut down. No team managed to control the peloton on a difficult and technical run-in which had lots of awkward street furniture, raised curbs and islands with stretches where the bunch had to breathe in to get through. Crashes were inevitable. Wednesday’s third stage heads to Aurillac, further south but currently gripped by freezing temperatures. Luis Leon Sanchez will remember the town well, the Spaniard won a stage of the Tour de France there a couple of years ago. 10. 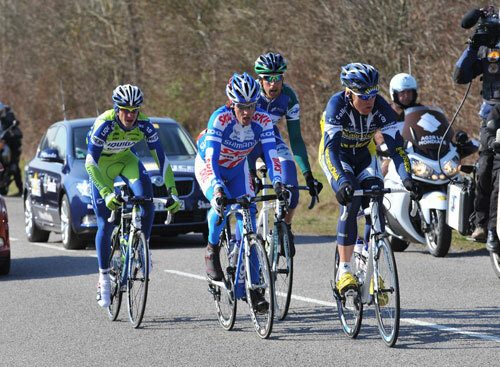 Francesco Chicchi (Ita) Liquigas all same time.